Lifting children to freedom over the barbed wire – should we choose freedom now? August, 1961. First the barbed wire went up surrounding West Berlin, separating those in the Russian sector, and East Germany, from those in the French, British and U.S. sectors, an island of non-communist rule in a sea of communists. The famous wall of concrete, steel and barbed wire would be built soon. Germans living in Berlin were sometimes trapped by arbitrary lines on a map, lines that meant the difference between freedom and a communist dictatorship. Why am I thinking of this now? This photo, from the U.S. Information Agency, in the files of the National Archives and Records Administration (NARA). The photo tells a sad story, that should never be repeated. 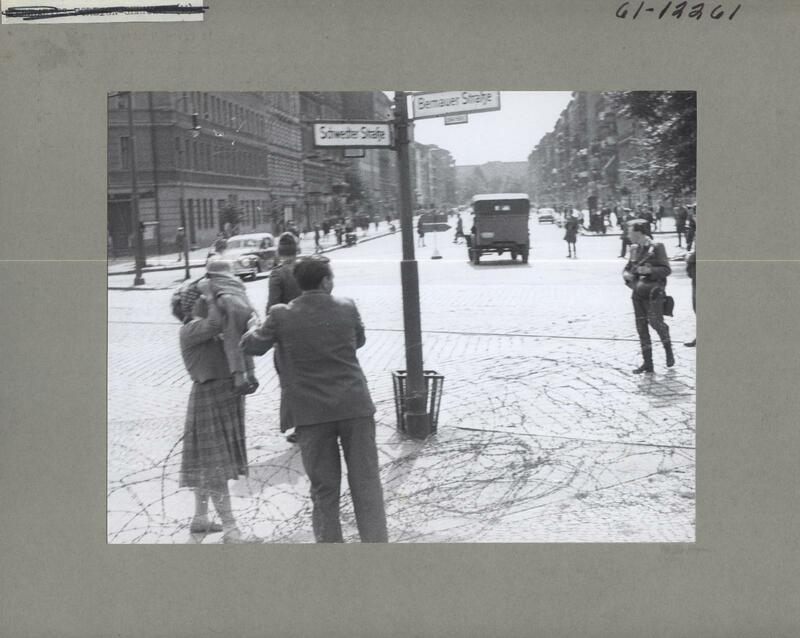 Berlin residents pass children over the barbed wire separating the free West Berlin from Soviet-occupied West Berlin. August 1961. 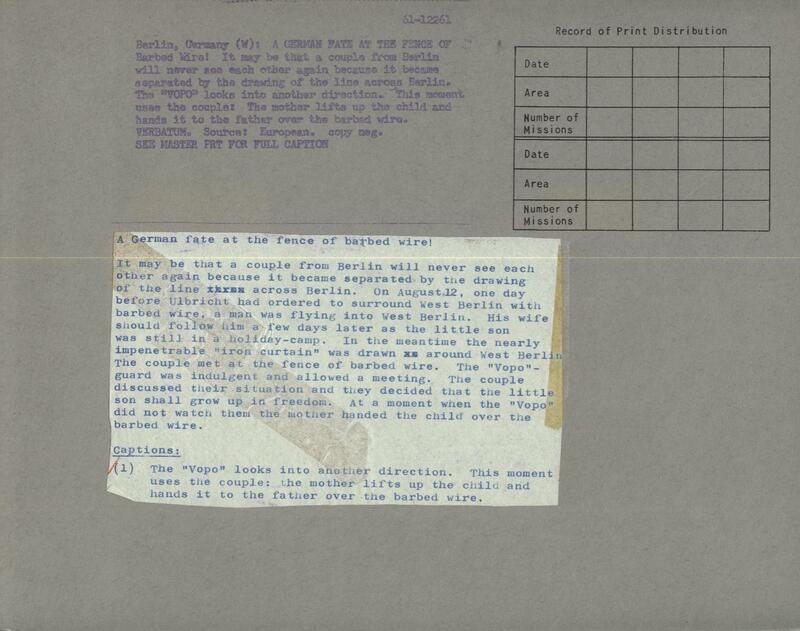 U.S. National Archives image, from U.S. Information Agency. The guard, a “Vopo,” looked the other way. And that made all the difference in that child’s life. Caption for photo from USIA, on the back of the photo. Why does this image call out to me now, as if from the voice of that child, pleading for help? Does it call to you, too?